We are excited to announce that we will be at the 2017 San Diego Spring Home Show this weekend, January 6 – 8, 2017! Eco Minded Solutions participated in the Spring Home Show that occurred Jan. 8-10, 2016 and featured innovative companies that provide home improvement services. Experience the show for everything for in and around your home. Experience the show through the eyes of Josh Rosenthal, Principal at Eco Minded Solutions. 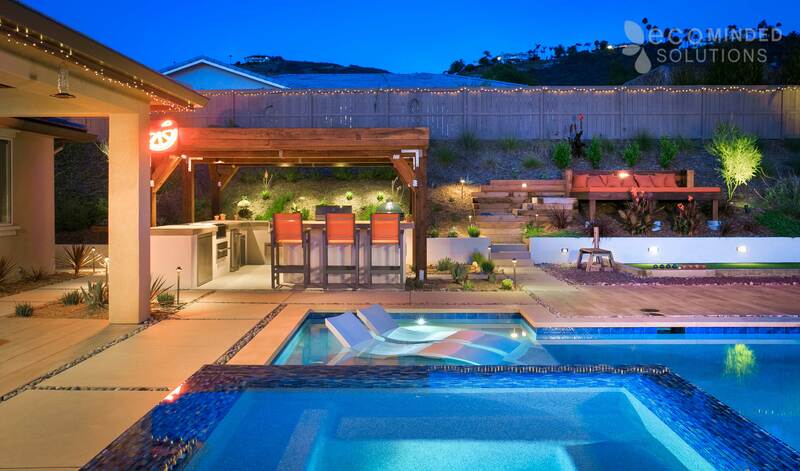 From hot tubs, to window coverings, to paver design; this event is a great opportunity for locals to learn about remodeling and landscape services for their home in San Diego. We attend the San Diego Spring Home Show each year to learn about new innovative features and hear from potential customers requests. Last year, we explained how you can find inspiration from experts at the San Diego Fall Home Show. This year, our recap will cover more about what we learned from those who stopped by our booth to help answer your questions if you were not able to attend the San Diego Spring Home Show. Though 2016 didn’t have a huge hot tub blowout sale – it did contain beautiful new features for your home. And you can fit 25+ in this infinity hot tub! To get a feel for the attendees at the show, we interviewed Josh Rosenthal, Principal and Partner of our innovative Design+Build company in San Diego. In this interview, learn more about what people are looking for at the home show, why you would want to attend, the common design styles requested, and how you can achieve an eco-friendly landscape construction project. What Types of People Attend the San Diego Home Show? While we get a variety of people attending the event, it is more of a mindset than a type of person. In our experiences at these home shows, people who approach us at these shows are searching for an outside-the-box style. Most attendees are in the educational phase, want to meet the companies, and look at their design portfolios to find a match for their perfect “design style”. People that typically approach home design+build companies have their own style/personality and want their home to stand apart from their neighbors. Whether it is creating a house with indoor and outdoor living spaces, a unique garden layout with living green walls, or an architecturally different design; they are here to find inspiration. What are the Top Landscape Styles Requested at the Home Show? The most commonly requested landscape styles have an element of cost and water savings. Usually folks want to tear out their turf and replace it with artificial grass. With the latest water restrictions, we’ve worked on many new drought tolerant landscaping ideas for both front and backyards. We used to receive many inquiries related to rebates, but they have now been used up in San Diego and were more of a priority for customers when the water rate hikes were initially implemented. Mediterranean and modern styles are what we find most popular right now. The Mediterranean influence comes from the local tropical region in San Diego, yet we often will combine these styles using innovative design ideas. Each of our designers has a different style and we can match them up with the customer’s inspirational ideas. What Defines a Modern Design Style? These designs tend to include cleaner lines, with innovative types of construction, and new materials all infused together. We find that customers who are interested in a modern whole home remodeling, modern kitchen design, or other areas inside and outside of the home are looking for a clean layout. We often recommend dark stained rich wood tones, elegant concrete counter tops, and other clean styles that flow from room to room. 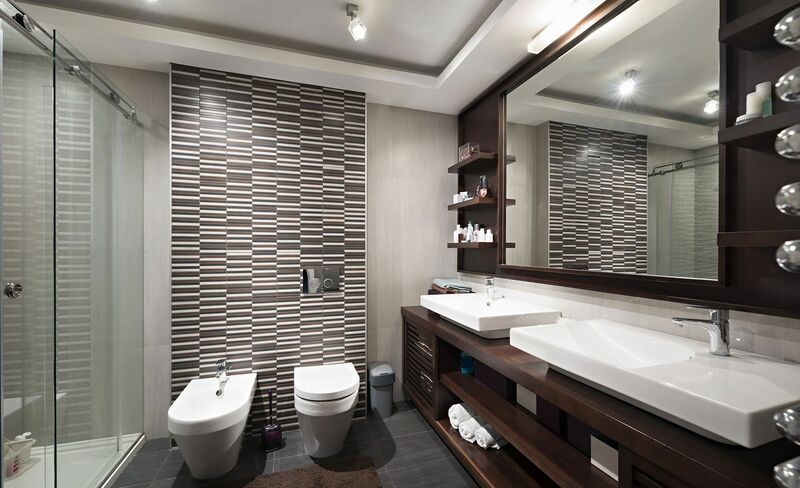 Modern design styles are great for adding more resale value to your home – learn more from our article on home remodeling for return on investment. How Do You Achieve an Environmentally Friendly Landscape or Home Remodel? Many that approach us at a home show are concerned about how they can be environmentally friendly and save money on their water usage. For outdoors and landscapes, we often will recommend that they reduce water with native plants and drought tolerant spaces. There are many innovative smart water irrigation systems that can be used to reduce your water consumption. Improving the outdoor lighting in your landscape design is a quick way to save energy from your current systems. When we do landscape remodeling projects, outdoor lighting is a very common feature due to their elegance, energy conservation, and safety for your home. Whether you want flood lights, post lights, pendants, or our other options; we find that choosing LED and solar powered lights are your best option for energy reduction. For the interior, replacing your air conditioning system, kitchen appliances, doors, roofing, window insulation, and modernizing your home with new technology will naturally save energy. We know many ways to include your innovative ideas into a creative update of your home based on the direction we define together. Listening to clients needs is one of the greatest assets for a Design+Build Company and has helped us become one of the best contractors in San Diego. For those who have these questions in mind, contact us so our expert designer’s can help find the right solution for your home. Eco Minded Solutions is different from other home remodeling and Design+Build companies in that we are a full service company that offers services for both inside and outside of your home. We commit to being your one-stop shop for both landscape architecture and home remodeling services with our in-house construction team. You can expect us to provide a high level of services along with innovative new ways to designing your home, while expanding on your original creative concept to make your vision a reality. Learn more about Eco Minded Solutions and our history in San Diego. Contact us and see how we can help create the home and landscape of your dreams.